When it comes to the golfing hobby, there is no way to get around the fact that you have to spend some money. But knowing what to spend the most money on and what you don’t need to worry about as much is extremely difficult. According to the experts at popular golf blog Golf City, your golf bag is one of those areas that you should spend money on. But how do you choose how much to spend and which brand, model or even type of golf bag to get? I was confused too until I did my research and came up with the solution. Callaway is one of the top brands of golf club bags on the market with many different products out there and many different models of bags. I trust Callaway when it comes to bags because everywhere I go, from Golf Digest to Bleacher Report, I consistently see them ranked at the top when it comes to golf brands. Of course, not every model is the same. Some are more high quality than others, and that’s exactly why I chose this bag. It is simply one of the best bags on the market and no matter what you currently have, you will love this bag. I have been very pleased with this bag. I thought the investment was very small when you took into consideration that this was a Callaway and everything about the bag really appealed to me – the number of pockets that it had, the fact that there were specific places to put balls, valuables and an umbrella and I even liked the color that I got and thought it matched the picture well. The only thing that I have noticed with this bag is that the base isn’t quite as stable as they would like you to believe. It has tipped over on me a couple of times (both times I bumped it) and I wish that the base was just a little wider, but otherwise, it is a perfect bag. People were really amazed by this bag. Just as an example, here is what TC posted on Amazon after buying this bag. This review speaks to me because I was pretty amazed at the price as well and I too had owned some other bags in the past that weren’t near as nice or useful. I found a use for mine – a little thing called Craigslist, with one left behind to use as a backup if I ever needed it, but all-in-all, I have been extremely happy with this bag and as you can see, other people feel the same way. There is one thing that you should probably be aware of. This isn’t the highest quality Calloway bag that I have ever encountered and my research shows that others have felt the same way. This is a budget Calloway which means that while it is totally authentic, it is not as high-quality as its more expensive counterparts. That’s not a deal breaker for me, but it might be for you. Here’s the buying advice that I would give when it comes to this bag. It is really the same advice that I would give about buying any golf bag and not this particular model, since there isn’t much to advise you on with this great bag. You should definitely figure out what kind of golf bag you are looking for before you buy. For example, if you want a carry bag, you are going to need something with load distribution that will be easy on your back. If you plan to use a pushcart, you need something compatible with most of them – and especially yours. If it is a cart bag, then you need to make sure it can strap onto the cart securely. Once you have figured that out, it is a matter of deciding what kind of features you want in a golf bag. For example, how many dividers do you need? Do you want a certain number of pockets? Are you going to be bring cold water, an umbrella and valuables to the golf course? 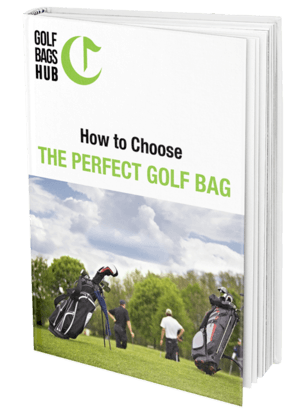 These are things that must be taken into consideration before you choose a golf bag. My recommendation is to get this bag. It is really one of the best bags out there and Calloway is simply a brand that you can trust when it comes to golf equipment. I have had really great results with this bag and it has lasted me for many months now, even with the summer gone where I had gone and golfed regularly. I think you will really like this bag if you get it and all of the features that it comes with makes it an easy purchase. In the end, it is all up to you and how much you want to spend. I loved this bag and others did too, but as always, your mileage may vary.